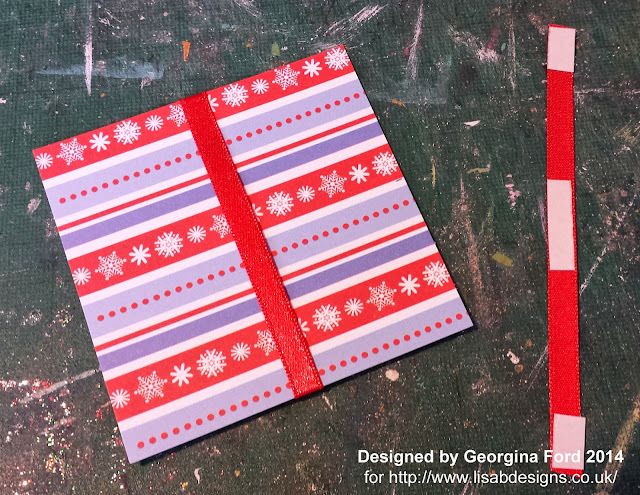 Today I have two quick Christmas card ideas to share with you. 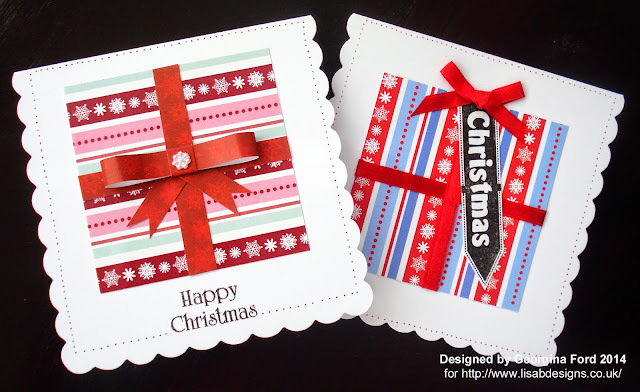 Both cards are Christmas presents, using ribbon or patterned papers for the bow. For both cards I used a 119x199mm scallop edge card blank. 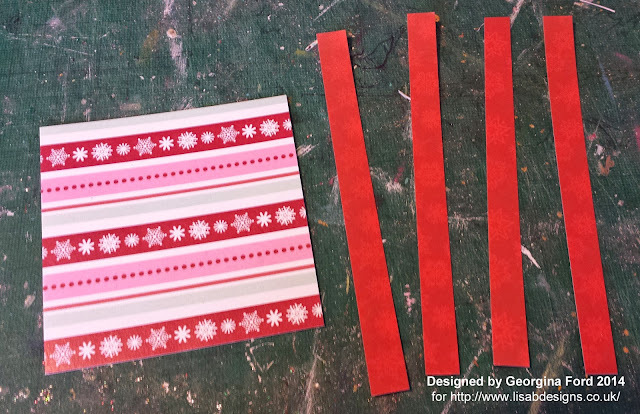 For the first card I used Hobby House Stripe for the present and Red cascading patterned papers. For the present I cut a square 8x8cm. The stripes of paper for the bow were 12x1cm. I attached two strips across the present square. I folded one strip for the loop part of the bow and added this to the card with two smaller pieces for the bow tails. 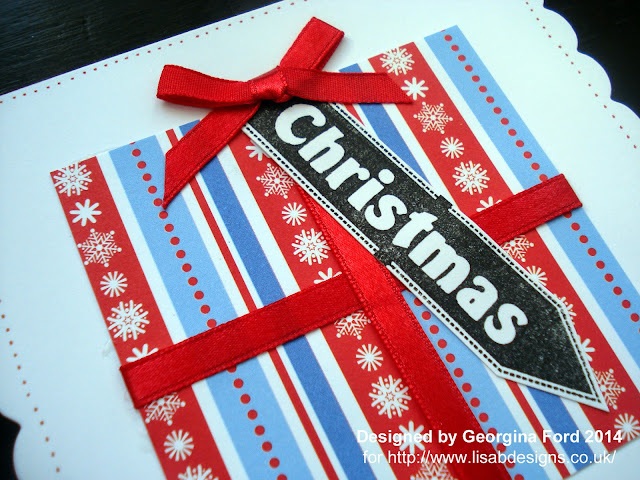 I stamped a sentiment from This way for Christmas stamp set by Anna Marie Designs. To finish I added a mini flower to the bow and small dots with a black fineliner pen around the edge of the card. For the second card I again cut a 8x8cm square. I used Stripe patterned paper from Hobby House. I used strips of red ribbon for the bow. 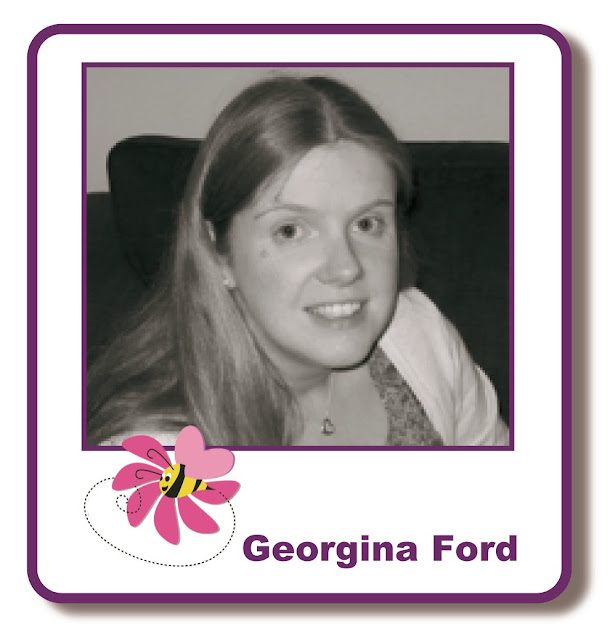 For the tag I used I stamped a sentiment from This way for Christmas stamp set. To finish I added small red dots around the edge of the card. 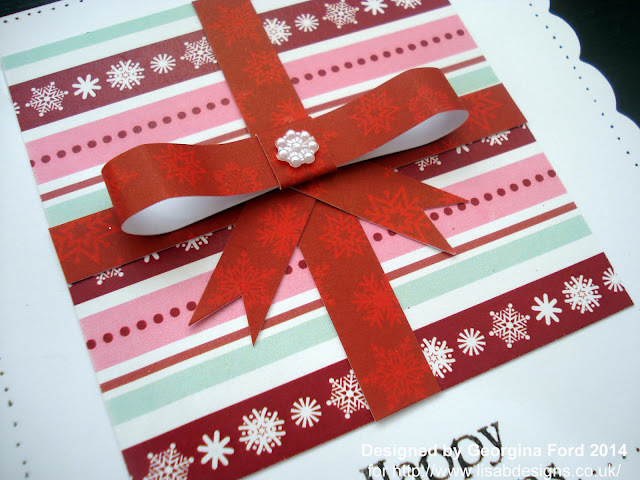 What a great idea for a quick Christmas card! I love how you've made a large bow.